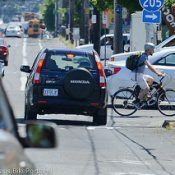 It’s been over five years since we first reported on how bikes can help us in our time of need. 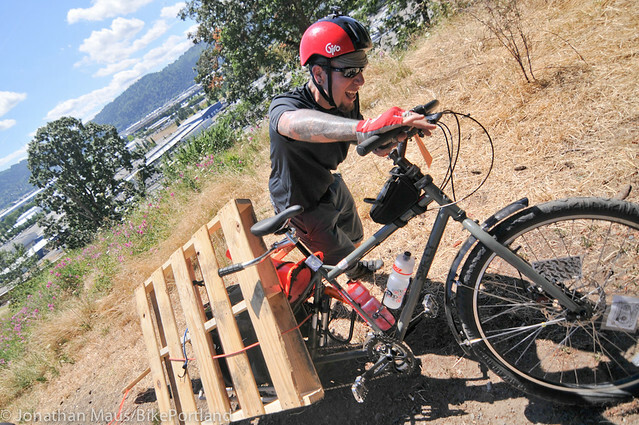 And now for the fifth year in a row a group of Portlanders has come together to organize the Disaster Relief Trials, an event that acts as an inspirational innovation catalyst and educational platform for our bicycle-oriented community. A competitor rolled through a water obstacle at the 2015 event. 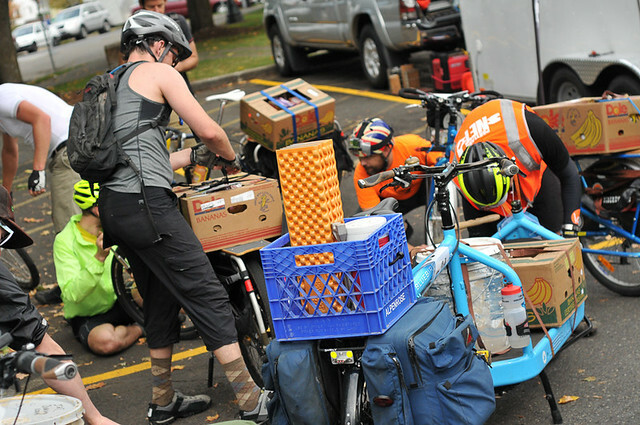 How many supplies could you load on your bike in an emergency? 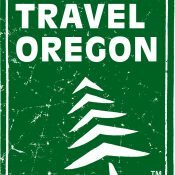 This year’s event will be held on October 22nd in conjuction with the City of Portland’s Emergency Preparedness Fair at the University Place Hotel (which also serve as DRT basecamp). 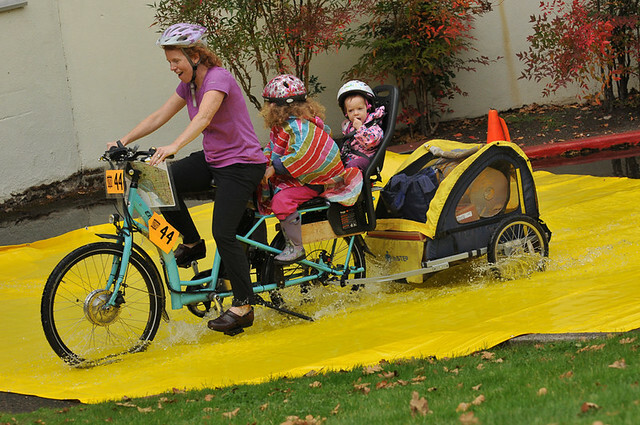 Portland cyclists are called to test their navigation, problem solving and load-hauling mettle on October 22th, 2016 in a disaster drill designed to showcase the relevance of cargo bikes to disaster relief. This year’s competition will again feature a “hub-and-spoke” checkpoint arrangement, centered in downtown Portland at the at the University Place Hotel. Riders will begin at the “hub” and return periodically to complete disaster relief challenges, making this year’s event especially spectator friendly. The LeMans start, barrier crossing, awkward load lashing, and harried relief cargo delivery will all be located at the campus hub. Between moments of DRT action, spectators can visit a Preparedness Fair sponsored by the Downtown Neighborhood Association inside the hotel. The fair will offer information and activities to get you prepared for any disaster. All types of riders are encouraged to sign-up and get involved. There are separate classes for families, teams, electric-assist, beginners, and seasonsed disaster riders. Registration (which starts at $35) discounts are available for professional bike messengers and students. Scholarships are also available. For inspiration and background, check out our coverage from past events. Learn more and register at the event’s Facebook and sign-up page. I see categories for family and e-assist, but no family e-assist category? That’s right. We hope to have enough interest in off-grid-rechargeable assisted cargo bike riders in the future to urge more sub-categories, though! I already wanted a cargo bike now I’m itching for it even more! More and More official sources are recongnizing the value of bikes for transportation after natural disasters. This is especially important in the case of the big subduction zone earthquake as it could take years to remove the fallen overpasses and restore electricity and gasoline availibility to the Willamette Valley by Fema’s own calculations. Its not about just immediate emergency relief, bikes could be our only source of transportation for a long time if the big one hits. Yeah, sure. Cargo bikes to the rescue with collapsed bridges, buckled roads, fire raging everywhere amidst collapsed buildings, west hills landslides into downtown, floods if the dams go, and total anarchy as survivors kill to survive. More tools in the toolbox you are holding when you ask your neighbors, “Are you all right, what do you need?”. If you think some broken stuff is going to end civilization, make sure to let your neighbors know you feel that way so they’ll know to shoot first when you come knocking. Well, other countries have gotten through earthquakes nearly as bad as the one they predict for us. But then, we have the gun nut population that they do not have to worry about. 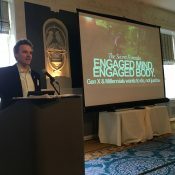 Are you related to the Mike Quiglery who’s posted similar rants here in the past? Or someone that owns a lot of firearms. Software robot. Because his comment last year was essentially identical to the one he made this year. Thanks for the post Jonathan! New this year, we’ll be dedicating two checkpoints to vulnerable populations, highlighting the disaster recovery needs of: communication challenged, mobility challenged, maintenance medicine dependent, and house less Portlanders. We’ll send out a press blurb about this new focus, led by David Griffiths. Can the team class be a mix of e- assist and non E assist? In most cases, the when a person makes fun of another it’s a result of insecurity. So it’s a reasonable theory to posit that those who mock are subconsciously aware of their own dependence upon auto and have a deep rooted fear of gas stations not dispensing their favorite propellent. Just suppose that every citizen owned a cargo bike and businesses were similarly equipped. A massive catastrophe would require a lot of leg power but societally, we’d get ‘er done without significant suffering. Way to go Mike Cobb! Thanks for keeping this important event going – I look forward to contributing in any way that I can.